In the first act, the Harlequin and Columbine are kept apart by her father Cassandre, who would prefer that his daughter marry the wealthier (and older!) Lèandre. Not to be deterred, Harlequin tries futilely to win Cassandre over, only to be turned away again and again by Cassandre and his servant Pierrot. Finally, with the help of a Good Fairy and Pierrot’s sympathetic wife Pierrette, Harlequin’s bad fortunes are turned around, and Cassandre agrees to bless the union. Harlequin and Columbine are married in the festive second act, when love finally triumphs over all. ABT Artistic Director Kevin McKenzie has released principal casting, which will include Isabella Boylston as Columbine, James Whiteside as Harlequin, Gillian Murphy as Pierrette, and Thomas Forster as Pierrot on opening night January 17. Opening night, Thursday, January 17th at 7:30pm, will be a special Kids Night at the Ballet. With the purchase of one full-price ticket, parents can receive a second ticket free for children. Children and families are also encouraged to arrive early and enjoy pre-show activities in the Segerstrom Hall lobby beginning at 6:00 p.m., including a coloring station, crafts, photo opportunities and more! Costumed dancers from American Ballet Theatre will also be present for meet-and-greet with photo and selfie opportunities. 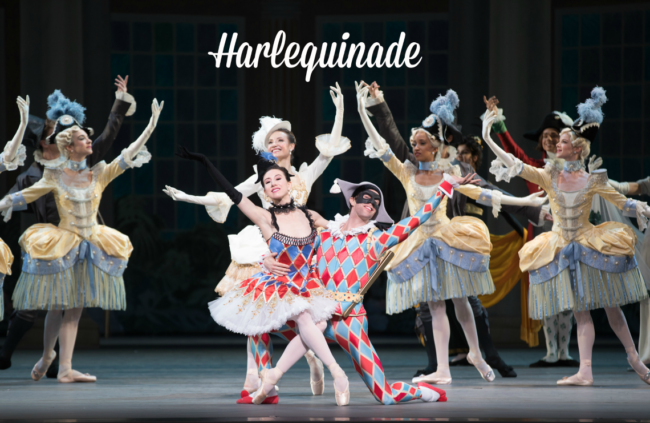 Single tickets for American Ballet Theatre’s Harlequinade start at $39 and are available now online at SCFTA.org, at the Box Office at 600 Town Center Drive in Costa Mesa or by calling (714) 556-2787. To take advantage of the Kids Night opportunity, use promo code KIDS. For inquiries about group ticket discounts for 10 or more, call the Group Services office at (714) 755-0236.